We understand when your customer’s kitchen demands a complete makeover. A trade pro’s responsibility in a kitchen remodel can be stressful. Mixing and matching styles, designs, and types of material can be tough. Our ProSource® of Naperville staff and experts are here to help. We provide top quality products at the best wholesale prices. Visit our Naperville showroom today and get your remodel project started! 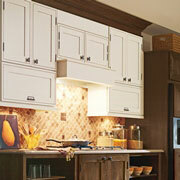 If you’re simply looking for products or materials or you want to discuss a kitchen remodel product, we can help. Our assortment of products and materials are high quality, and our commitment to the trade pro is unmatched. Talk to one of our dedicated account managers to discuss your project and find the best solution possible. The kitchen cabinets influence the mood of the space. Specific styles, colors, and finishes will alter the personality of the kitchen. Visit our showroom to find a versatile assortment of cabinet choices from top manufacturers. 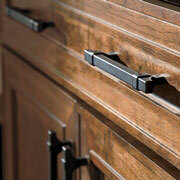 Once you find the perfect cabinets for your customer’s kitchen, it’s time to find the best cabinet hardware. Our showroom offers a wide variety of handles, knobs, and other hardware to accessorize your cabinets and add to the kitchen’s style. 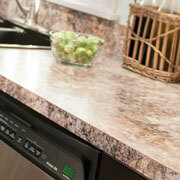 If you’re looking to bring your entire kitchen together, find the perfect countertops. The kitchen countertops are where people gather to eat and talk. Visit our Naperville showroom and choose from some of our more popular materials like quartz granite, or recycled, or you can choose a different material to match your style. 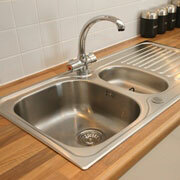 Whether you want a single or double bowl for your kitchen sink, we can help! Our vast assortment of sink options allows for you and your customer to choose the perfect sink for the kitchen remodel project. 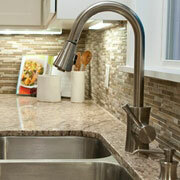 You no longer have one faucet to install into all your kitchen sink replacements. The Naperville showroom provides trade pros and their customers the opportunity to find the exact style and function desired in a kitchen faucet, whether they want one or two for their sink. We proudly serve Naperville, Warrenville, North Aurora, Aurora, and Woodridge, Illinois. The ProSource of Naperville showroom is conveniently located in Naperville, Illinois and serves all of the neighboring cities including Aurora, Batavia, Berkeley, Big Rock, Bristol, Clarendon Hills, Compton, Darien, Downers Grove, Earlville, Elburn, Elmhurst, Eola, Fox Valley, Geneva, Glen Ellyn, Hillside, Hinckley, Hinsdale, Kaneville, LaFox, Lee, Leland, Lisle, Lombard, Maple Park, Marseilles, Mendota, Millbrook, Millington, Montgomery, Mooseheart, Morris, Naperville, Newark, North Aurora, Oak Brook, Oswego, Ottawa, Paw Paw, Plano, Saint Charles, Sandwich, Seneca, Serena, Shabbona, Sheridan, Somonauk, Sugar Grove, Triumph, Troy Grove, Villa Park, Warrenville, Wasco, Waterman, Wayne, Wedron, West Chicago, Westmont, Wheaton, Willowbrook, Winfield, Woodridge and Yorkville.